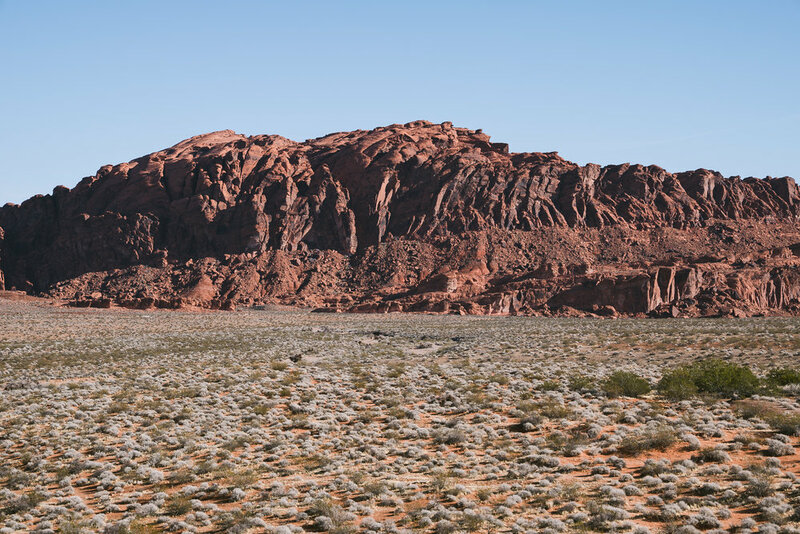 At the Valley of Fire in Nevada the rocks are amazing shades of brilliant red, some almost pink in color. Some of the mountains of red sandstone can easily crumble to the touch while others have lasted for thousands of years. Scientist suggest the Aztec Sandstone formed 150 million years ago from shifting sand dunes. The park was designated as a National Natural Landmark in 1968. The park in its brilliant red has reached record temperatures in the summer of 117 degrees. Record lows have bottomed at 12 degrees during the winters. The average temperature in the summer is between 100 and 105 degrees (June, July and August). The average winter low is 38 degrees in both December and January.